In the Shipping Origin, set the default shipping origin address. In the Shipping Options, enable and disable the shipping units of length and weight and the freight class. In the Shipping Tax, label the taxes that apply to the shipping cost. You can control the global shipping origin that is used by default unless there is an alternative address configured for the particular warehouse. Select Commerce > Shipping > Shipping Origin in the menu to the left. Clear the Use Default box next to the option. Type in the updated values. 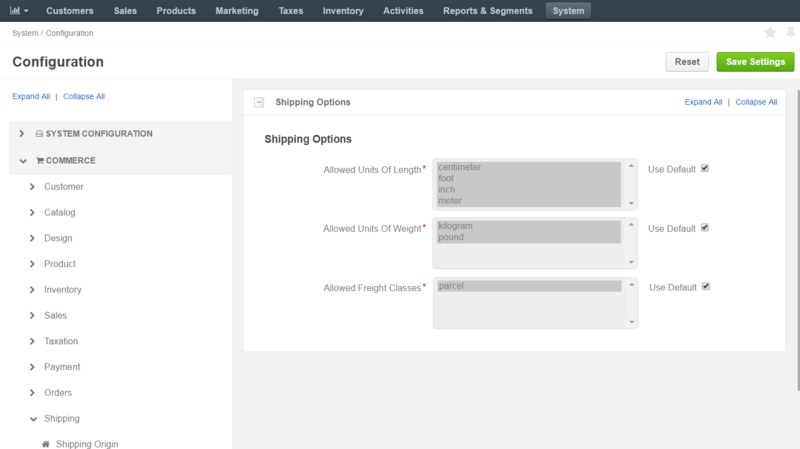 You can enable and disable the shipping units of length and weight (and the freight class) that are available in OroCommerce out of the box. The enabled options are used in the customer orders and product shipping details. Select Commerce > Shipping > Shipping Options in the menu to the left. Select/deselect the option by holding Ctrl and clicking on the value (e.g. pound). To enable shipping cost estimation by an integrated system, like UPS, every product in an order or a quote should have the shipping information. This information combined with the shipping origin and destination address helps the integrated system calculate the shipping cost with acceptable accuracy. It is recommended to add shipping information for every product unit. 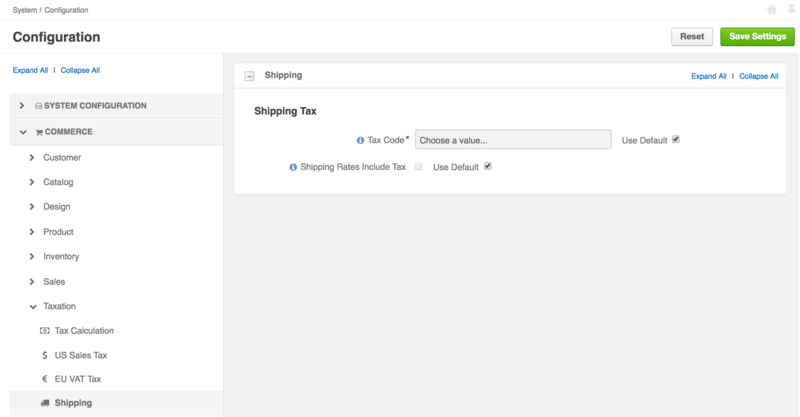 You can select a shipping tax code that should be used for shipping total cost calculation and specify if the shipping cost already contains a tax. Navigate to the system configuration (click System > Configuration in the main menu). Select Commerce > Taxation > Shipping in the menu to the left. Tax Code – a tax identifier that in combination with tax rules defines the tax rate that is applied for the shipping tax calculation. Shipping Rates Include Tax – select the box to avoid adding the calculated shipping tax to the shipping cost. Modify the tax code list: click x to remove the item, type in the new code value and press Enter. Select/deselect the Shipping Rates Include Tax option. 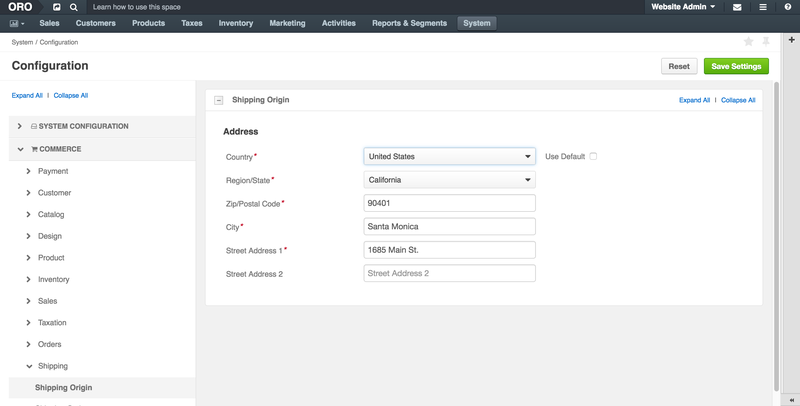 Now that you have set the system-wide shipping configuration, you can start creating a shipping integration with a certain provider and a shipping rule to enable the integration for a particular website, order, or destination.